Learn what to do when you have accidentally ripped a bit of a paper layer off of your quilled jewelry when a pin gets stuck to it with glue or sealant. A fun new pair of aqua bubbles paper quilled earrings, made from Culture Pop papers. This matching paper quilled earring and pendant set was made to match my daughter’s Indian Deepavali outfit. Colorful and fun! Learn some tips on how to make the most sturdy circle for your quilled jewelry! Read some tips on how to hide the end of your paper strip when making quilled jewelry for a smooth and more professional look! Learn how to make a loop at the top of a headpin to finish off your jewelry designs with this step by step tutorial. Another simple tip for making paper quilled jewelry – know when you have to start over! Now available – a supply kit to go along with the peacock paper quilled jewelry tutorial! Here’s another tip on how to make better looking paper quilled jewelry! 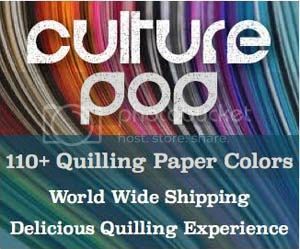 Read on to see some different style options for topping your paper quilled jewelry to make it sturdy and beautiful! Here is a super simple tip that can save your tight quilled rolls when they don’t come out perfectly! Here is tip #3 for making paper quilled jewelry! This tip focuses on how to make your designs that include open circle and borders stronger and smoother looking. Read this post to find out the best way to adhere your paper quilling design to snap hair clips to make your own great accessories! Learn how to make cute paper quilled daisies and turn them into earrings! 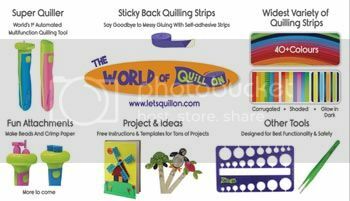 There are many widths of quilling paper to choose from! Which widths work best for paper quilled jewelry and why? Read on to find out! When making paper quilled jewelry for others it is important to make it well! One way to do this is to make sure the top is sturdy enough to handle every day use without pulling off of the earring. This article shares several ways to make sure your paper quilled jewelry lasts for a long long time!